Stewarts of Mortimer Fleet List: The new Ford is numbered T1 rather than M8. The Volvo is expected to be on loan for about six weeks until a new Iveco / Plaxton Panther arrives and Y14 HMC returns from accident repairs. Ford Transit S122 JRR is withdrawn and for sale. Thanks to John Wheeler for this. Stagecoach in Oxfordshire and Warwickshire Fleet List: 31322 has now gone away for refurbishment. 34121 is officially shown as in service at Leamington, although is actually in use at Rugby. 34122 has now also entered service, possibly at Leamington. 34119/20 remain in store at Nuneaton. Reading Transport Fleet List: 21 Scania N230UD / East Lancs Olympus double deckers (to be numbered 841-62) have been ordered for delivery in November to complete the premier route network. They will replace 455-69 and 701/2/4/6/7 with 708-11 transferring to Newbury. 835-40 are due for delivery by week commencing 28th May, although one will be diverted via Ireland for a week for inspection by Dublin Bus and Bus Eireann. The MAN ND243F / East Lancs Kinetic+ will be numbered 501 and is now due in early May. In preparation for its arrival Spectra 705 was withdrawn towards the end of March. 706 has also lost its MegaRear for Oracle (Winter Fashion & Taste). Thanks to Brian Coney for this. Reading Transport Optare Spectras: 727 was the last Spectra repainted into generic silver livery in March. Reading Transport General: Convertible open top Scania OmniDekka SN04 CPE was at Reading for a few days from 20th April for a technical investigation. Thanks to Brian Coney for this. 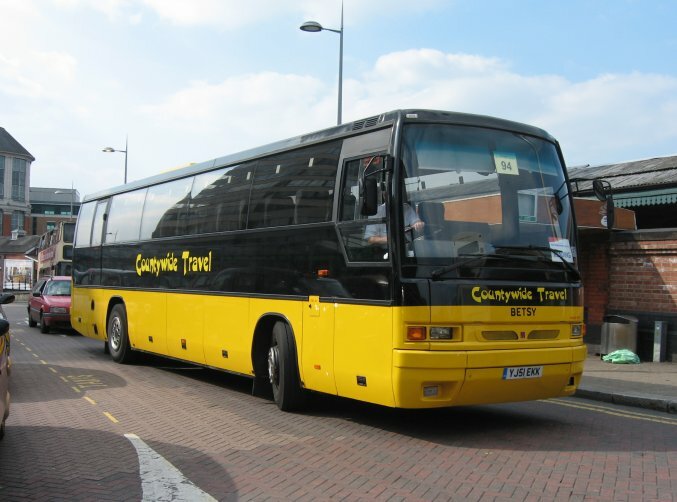 Courtney Coaches Fleet List: RK07 KOA has now entered service replacing one of the X-registered Varios. Thanks to Stephen Le Bras for this. First Berkshire Fleet List: Withdrawn 64819 has returned from loan to Hampshire. The new Citaros are due to arrive shortly. Thanks to Brian Coney for this. Stewarts of Mortimer Fleet List: New is Ford Tourno HG07 GHJ numbered M8. Volvo / Plaxton W212 EAG and MAN 14.280 MX06 ULT are on loan from Hansar. Withdrawn T894 JVR passed to Myrtle Tree, Bristol. Thanks to Derek Bradfield for this. Stagecoach in Oxfordshire and Warwickshire Fleet List: 22933 has a new MegaRear for Helen & Douglas House. Stagecoach in Oxfordshire and Warwickshire Fleet List: 34121 has entered service at Rugby, but it is not yet known whether its allocation there will be permanent. Thanks to Tim Warneck and Keith Wood for this. 34133 is also at Rugby, but hasn't yet been seen in service. 20226 has lost its MegaRear for Ropewalk Shopping. Thanks to Keith Wood for this. Oxford Bus Company Fleet List: 825 has been withdrawn with fire damage. 117 has had its MegaRear for Truemans replaced with one for Oxfordshire County Council, and 118 has a new MegaRear for Chaselaw Solicitors. Stagecoach in Oxfordshire and Warwickshire Fleet List: 22940 has a new MegaSide for Virgin Media. 22940/1 lost their MegaPanels for Oxford Castle several weeks ago. 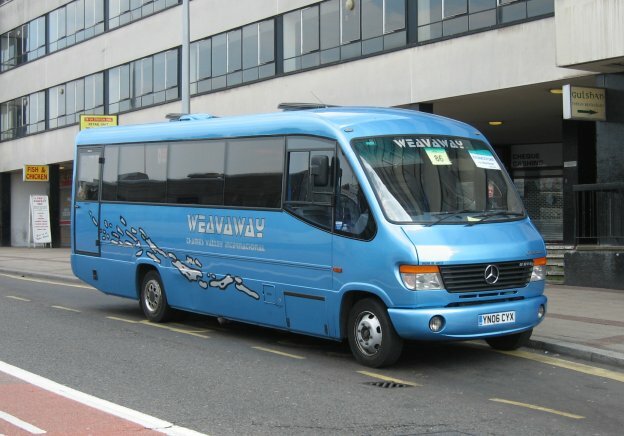 Reading Transport Fleet List: 704 has lost its MegaRear for the Oracle (Winter Fashion & Taste) in favour of fleet livery. Courtney Coaches Fleet List: New is Optare Solo RK07 KOA with Windsor Home Park Link lettering. Thanks to Ian Mihell for this. Stagecoach in Oxfordshire and Warwickshire Fleet List: 52251 arrived at Oxford today from Fife for use on training duties. Loaned 52211 is also to become permanent to allow remaining Lynxes 29127/615 to be withdrawn. First Berkshire Fleet List: 46926 replaced 46921 at Bracknell which has been withdrawn. 64275 has also been withdrawn. Thanks to Mat Wooll for this. 60167 has a new MegaRear for Shopping in Bracknell, whilst 60162/8 have lost their rears for Oracle (Winter Fashion & Taste). Thanks to Mac Head for this. Reading Transport Leyland Olympians: 13 has passed from Ensign to Eastonways, Ramsgate. Oxford Bus Company Fleet List: 81-90 entered service on 3rd. Due to a mix-up at the DVLA they have been registered with OXS registrations instead of OXF which the vehicles incorrectly wore for the first few days of operation. The plates have subsequently been altered to OXS until the mistake can be rectified. 51-56 have been repainted into Espress livery and renumbered 29-34. 8, 11, 14-17, 69 and 71 have been withdrawn with 8, 11, 69 passing to Wilts & Dorset and 17 transferred to the training school renumbered 961. Withdrawn 9 and 12 have returned to Go West Midlands permanently whilst 70 has passed from Go West Midlands to Wilts & Dorset. Fire damaged 619 has been written off. The sale of 971 to Robin Bennett in August 2006 has been corrected to Woottens in February 2007. Thanks to Malcolm Crowe for this. Countywide Travel Fleet List: 'New' additions to the fleet are DAF / Ikarus YJ51 EKK and Toyota / Caetano Optimo V FJ55 BXN. These were however included on the company's online fleet list dated 1st April 2006, so appear to have been with the fleet for some time. Meanwhile 12, 31, 74, 84, 85 and 87 appear to have been withdrawn and loaned 21 returned. 88 is named Matilda and 91 Betsy. Stagecoach in Oxfordshire and Warwickshire Fleet List: 42375/8 have now transferred to East Kent with the others. First Berkshire Fleet List: 64811/2 transferred to Glasgow on 9th March. 43929/30 entered service on 2nd April. Thanks to Mat Wooll for this. Stagecoach in Oxfordshire and Warwickshire Fleet List: 13611 has transferred to Exeter and 13626 to Manchester. 31321 has gone from Rugby to reserve for refurbishment, whilst 34133 has entered service at Nuneaton. 47363 received branding for route 17 and 20007, 20008, 20010 and 20011 for route 200 in early March.